These Picture Frames are Adorned with a Silver Border for a Refined Look! These Picture Frames Load Signs through the Front for Quick Poster Edits! Purchase Ready Made, Wood, Metal and Digital Photo Frames at Wholesale Today! 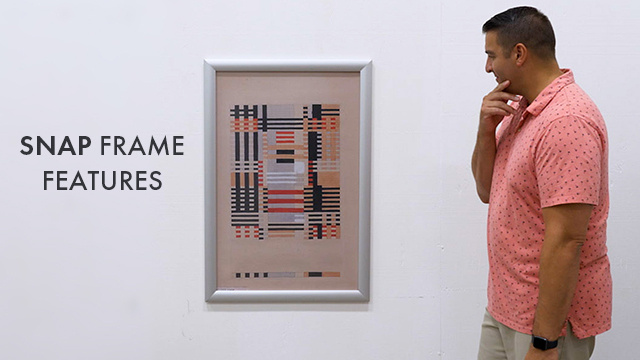 Aluminum snap frame makes changing artwork effortless. 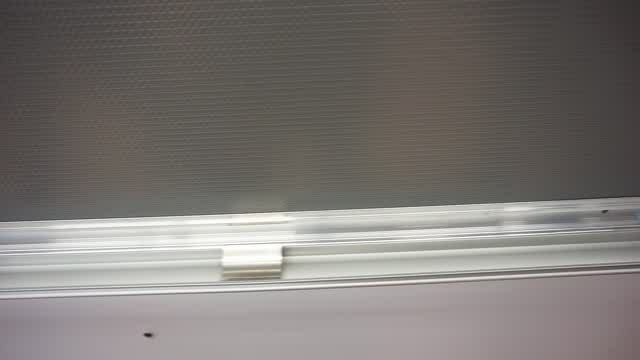 Plastic cover protects advertisements from damaging elements. Detailed framing adds style while blending in with any environment. Predrilled holes permit vertical or horizontal placement. 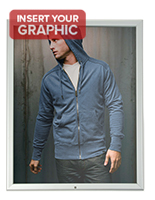 Picture frames use a front-loading design, which allows for easy insertion of new graphics. 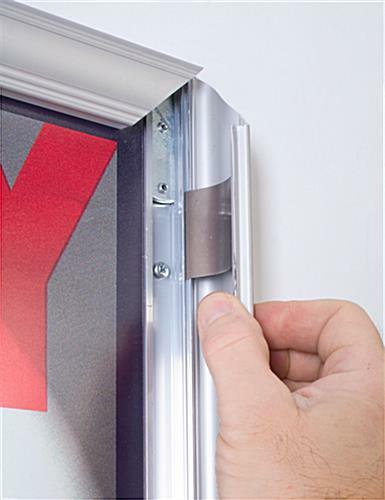 The wall-mounting poster displays have four different hinges, so users can flip the molding open with ease. These picture frames, also known as photo frames, can stay in position while updating the inserts or art. The silver poster displays come equipped with a non-glare lens protecting the graphics underneath. 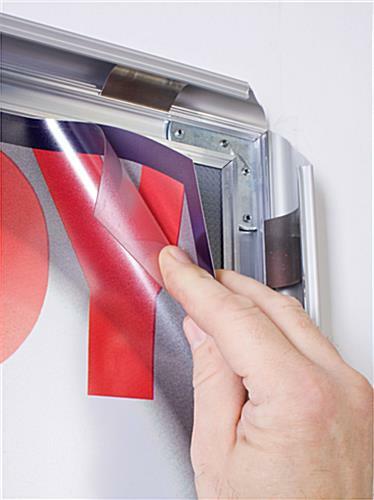 This overlay keeps fingerprints, dust and debris from damaging signs or posters. These picture frames include mounting holes for displaying the frame either vertically or horizontally. 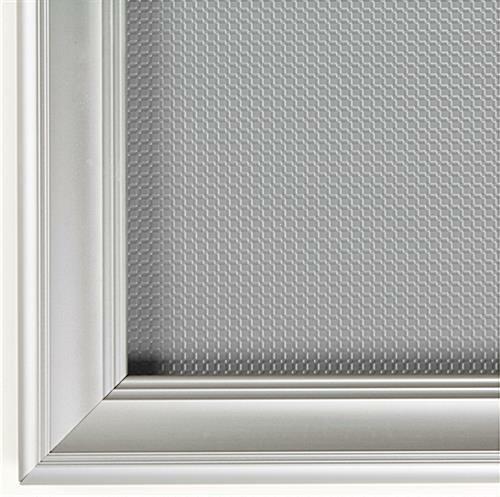 Mounting locations positioned inside the frame keep hardware hidden and create a professional and organized presentation. 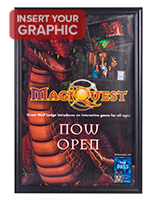 Picture frames hold 24" x 36" graphics, a standard size for advertisements. These photo holders permit nearly instant sign updates, without the hassle of detaching the displays from a wall. The poster frames differ from most snap-open framing due to the adorned border. These signage holders develop a more artistic presentation while still supplying a user-friendly design for speedy graphic changes. The snap-open picture frames are ideal for application in retail centers, hotel lobbies, business offices and food establishments. In fact, any location requiring frequent signage updates would benefit from these picture holders. 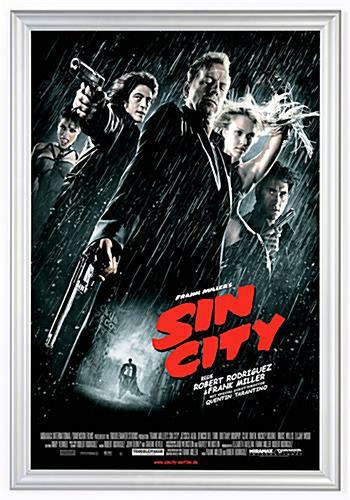 Aluminum poster frames will last for many years, even in the busiest of locations. 26.3" x 38.4" x 14.4"